Many of us take the conveniences that our vehicles add to our lives for granted. A driver can hop in a car, at any time, and head out in search of food, clothing, or whatever the moment holds in store. People that are more spontaneous can even venture off on cross-country trips to visit landmarks and other locations in an instant. Automobiles provide retail outlets with essential goods that consumers need to make it through the rat race that is called life, while taxis, limos, and other driving services allow them to get from one destination to the next. Most folks feel comfortable and safe when they get behind a car's steering wheel. They do not expect an accident to occur, nor do they intend for one to happen. 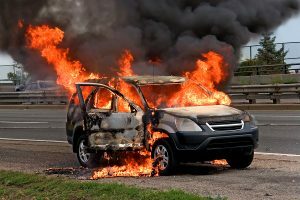 However, these incidents are always a possibility, but whenever an automotive recall is part of the equation, the risks of becoming involved in a wreck significantly increases. Vehicles have come a long way over the years. Advancements in technology have made engines faster, and body styles are lighter than ever before. The improvements also make traveling safer thanks to anti-lock brakes, airbags, seatbelts, and other features. All drivers and passengers should thank the various crash dummies that have sacrificed so much over the years to make these attributes possible. Southwest Florida offers the ideal scenery and climate to take the wheels out for a spin, anytime. These conditions result in our Port Charlotte community thriving from the tourism income. However, the increased revenue does not come without a price, and we must share our roadways with drivers and pedestrians that are newcomers to the area every day. Could Florida’s Personal Injury Protection Mandate Soon Be Over? 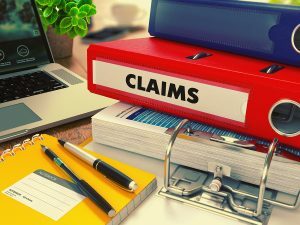 Over the past few years, there has been significant controversy and discussion surrounding Florida’s personal injury protection mandate, otherwise known as the no-fault auto insurance system. The discussion is again being taken to the state Legislature and will be heard during the 2018 session. Why Repeal No-Fault Auto Insurance? Florida has seen a rise in fraudulent activity that takes advantage of no-fault auto insurance policies. In 2012, the Legislature passed measures in an effort to curb fraud, but it has not been successful. This is the primary reason state Senator Tom Lee of Thonotosassa filed a bill that would repeal the mandate completely. Florida is currently in the middle of an epidemic, although it’s not one you may think. More cars are crashing into Florida buildings than in any other state. The state owes it to their citizens to keep them safe, which is why there have been recent attempts to curtail the accidents. The Storefront Safety Council investigates instances in which cars crash through buildings. 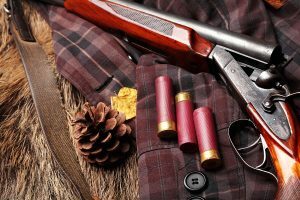 They provide research, statistics, and recommendations to help end the problem. According to the SSC, cars crash through buildings over 60 times a day. The accidents annually result in 4,000 injuries and 500 deaths. The SSC indicates that nationally, the two age groups with the highest number of drivers crashing through buildings are 20-29, with 18%, and the elderly, with 14%. The group has found a strong correlation between the number of registered drivers in a state over 65 and the number of storefront crashes. Workers’ comp has been an issue the Florida Legislature has sought to resolve for years. Although the Legislature has failed in the past, a new bill recently cleared the Commerce Committee by a vote of 18-8. As a result, the bill will now head to the House floor for a vote. Last spring’s attempt at reform came about as the result of two Florida Supreme Court decisions that led to a 14.5% workers’ comp rate increase. The Legislature attempted to solve the state’s rate problems with two bills – one in the House, and one in the Senate. The Legislature worked to hammer through the differences in the two bills but ultimately could not come to a resolution. The House and the Senate could not reach an agreement over attorney fees, causing the bills’ failure. The House passed an 11th-hour amendment that capped attorney fees at $180 in an attempt to reach an agreement with the Senate. The Senate, however, capped fees at $250 an hour and were not willing to cooperate. The Senate voted down a measure that would have reduced fees to $200 an hour. Recently, an order to decrease workers’ comp rate levels and premium levels was approved. The order, which goes into effect on January 1, 2018, affects both new and renewal workers’ compensation policies. The move is expected to help businesses across the state. Florida’s workers’ compensation system provides no-fault coverage. The system exists to protect those who are injured while working and provide them access to the medical benefits necessary to again make them whole. If a worker has missed work for more than eight days as a result of an injury, they are also entitled to lost wages benefits. Workers’ compensation is not cheap for Florida businesses. In 2016, employers in the state paid $3.8 billion in workers’ compensation premiums, up a billion dollars since 2012. 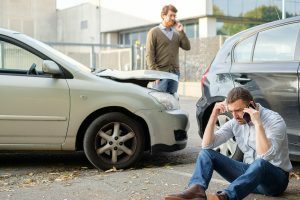 How Long After An Accident Do You Have To File A Lawsuit? If you've been injured as the victim of a car accident, you may be eligible to receive compensation. However, your eligibility does not last forever. 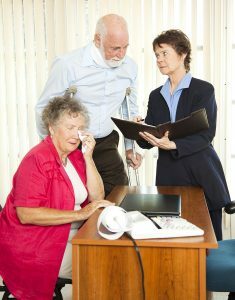 A statute of limitations exists that determines how long after an accident you can file a lawsuit. Statutes of limitations specify the maximum period of limitation for initiating legal action. Statutes of limitations can vary from state to state and by crime. If the statute of limitations expires in a criminal case, there’s a good chance that the claim will no longer be able to be filed. If it is filed, it can be struck down by the defense because it was filed after the statutory limitations period. Many cities and counties, with subdivisions and mud-districts alike, sub-contract street maintenance duties. These acts can include making repairs or sweeping and removing debris from the road to allow for safe passage. The methods help keep property taxes manageable, but when the work is not of high-quality craftsmanship, conditions seem to go downhill and accidents happen. 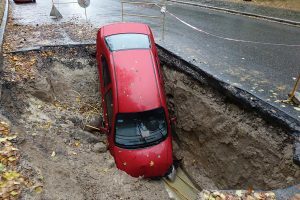 A vehicle's tire can become popped from the direct impact of a pothole. Drivers caught off guard by the sudden change can jerk the wheel, which causes some things to happen, including being involved in a crash with a pedestrian or car. 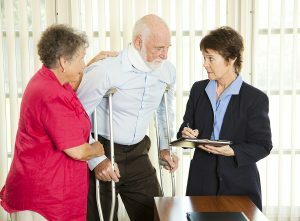 Countless damages can be incurred by involved parties, including, but not limited to, head trauma, broken bones, cuts, bruises, or even wrongful deaths. Ridesharing companies, such as Uber and Lyft, have become increasingly popular throughout the state of Florida over the past few years. As the companies have grown, legislation has been necessary to help protect the citizens of Florida. 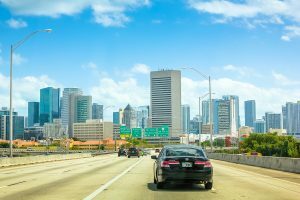 The Florida legislature recently passed a law that defined new insurance requirements for ridesharing companies. However, the law could result in many coverage disputes. Ridesharing companies have been rapidly expanding across Florida. Uber has over 40,000 drivers in the state, with no signs of slowing down. Currently, Uber and Lyft are competing to enter and establish themselves in the South Florida marketplace. Lyft’s Florida general manager has claimed that the company is “the fastest-growing ride-sharing network in Florida. Since 2014, Lyft ridership has increased three-fold. As ridesharing companies grew, local municipalities rushed their attempts to pass legislation. This caused problems because the laws were inconsistent from municipality to municipality. Not only did this cause confusion for drivers, but it also created problems if drivers drove from one municipality to another, or drove in a municipality that they weren’t registered in. Remember back to the days when you first got your license. The feeling was spectacular, and aside from meeting your parent's curfew, little else stood between you and the freedom of the open road. Unfortunately, many of us participated in countless acts that were distracting, and some people never seem to outgrow the actions. Eating, talking or texting, and even listening to loud music can impair one's ability to drive safely. Rowdy passengers or pets, jumping in and out of the vehicle operator's lap, can also undermine a person's capabilities. The list of things that can cause distracted driving could go on forever, but even practicing the most cautious habits is not always enough to stop accidents. Over the past decade, Americans have become more and more comfortable with online platforms. But yet, it seems as though every few months there is a major security breach or hacking. Just a couple months ago, there was a hack of the credit reporting agency Equifax that affected at least 143 million Americans. 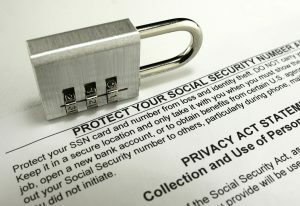 Hackers gained American’s personal data, including their Social Security numbers, addresses, and birth dates. The executive director of the Privacy Rights Clearinghouse, Beth Givens, said, “The type of information that has been exposed is really sensitive. All in all, this has the potential to be a very harmful breach to those who are affected by it.” As an active participant online, you should be cautious with your personal data. What can hackers do with your information, and how can you protect yourself online? Workplace, automotive, trucking, and numerous other accidents happen in Florida on a daily basis. Each one offers a host of minor and severe injuries to the participants, which are both physical and mental. 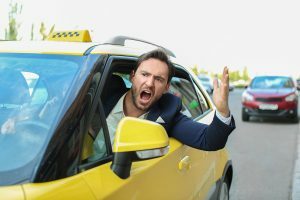 Car crashes make emotions run high, but people should try to remain calm, which will hopefully aid in avoiding unwanted scenes or altercations. After all, both parties will likely be shaken by the event. The health, safety, and well-being of passengers, in each vehicle, should come before all else. First aid should be given to those in need, and the proper authorities contacted. 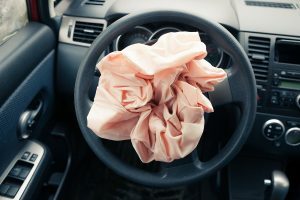 Whenever a person reads or hears the word recall, their mind likely drifts to an image of a car with an airbag failure. The reason is, over the past decade, or so, the Takata corporation has garnered much of the attention. However, items that many of us utilize every day can also affect one's livelihood. Take cell phones for instance. The days of pay phones and pagers are gone, and it is difficult to find a traveler without a device by their side. Smartphones are essential for accessing information at the touch of a screen. Technology has touched our lives in ways that never before seemed possible. Therefore, it stands to reason that the accessories of these products sustain substantial use. For many of us, vehicles are our best friends. While they do not offer conversation or traditional companionship, cars provide their owners a host of other benefits. Depending on traffic and road conditions, automobiles help us get from here to there quickly. Sitting on the inside of a car keeps people protected from outdoor elements, providing that they are not softball-sized hail or hurricane force winds. Many operators even feel so safe behind the wheel that they could never imagine an accident happening to them. However, in many cases, it is other drivers that cause the incidents, so people must always keep their heads on a swivel to look for dangers. 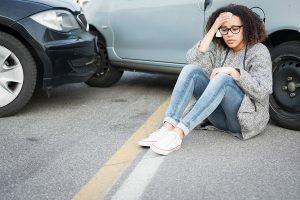 As a Florida driver, you should be well aware of the fact that you’re required to drive with personal injury protection. If you’re in an accident, up to $10,000 of your expenses will be covered by your personal injury protection coverage. This may seem like a lot, but if you ever find yourself in an accident, you’ll quickly realize that this money does not get you very far. As a Florida driver, you should consider purchasing additional coverage to protect yourself on the road.